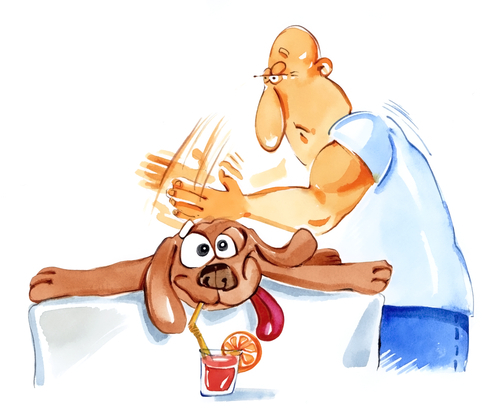 Does your dog have muscle pain? Click PLAY to watch the videos! then scroll down to learn more! So you think you'd like to learn more? I'm DELIGHTED to provide you with info about Massage 101! You know that first touch... when the massage therapist puts their hands on you… and right away you can tell whether it's going to be a good massage or not? The energy, the pressure, the confidence, all things that go into a great massage. Close your eyes and just think about it for a moment! And of course, there's the actually techniques themselves! Dog lovers who go for massages themselves will often ask me whether or not I do massage for dogs. The truth is I don't (no time)... but I've often wanted to create a course to help dog owners massage their own dogs. AND HERE IT IS! Here's what you're going to learn! BEST OF ALL IS THE PRICE!! !